Fresh fish is my passion and the reason I started Duke’s 40+ years ago. Knowing the source of what we serve is critical, which is why I fish with the fishermen . . . regularly. These men and women are pros. Don’t ever underestimate the amazing work they do every day to bring us the amazing salmon and halibut we all enjoy. Captain Mike Friccero years ago coined the term “DukeWorthy.” When joining him on a fishing excursion, we hauled in a Wild Alaska Halibut, but the fish was a small and the skin was not vivid or bright. “That’s not DukeWorthy; throw it back in the water,” yelled Mike. And the phrase stuck. If you’ve ever eaten a veggie right from the garden or cooked a trout caught that day, you know the luscious taste of “fresh.” The freshness of the food is vibrant and strong, delivering an immediate burst of flavor. Taste is critical, but proper handling also keeps the fish’s amazing texture intact. 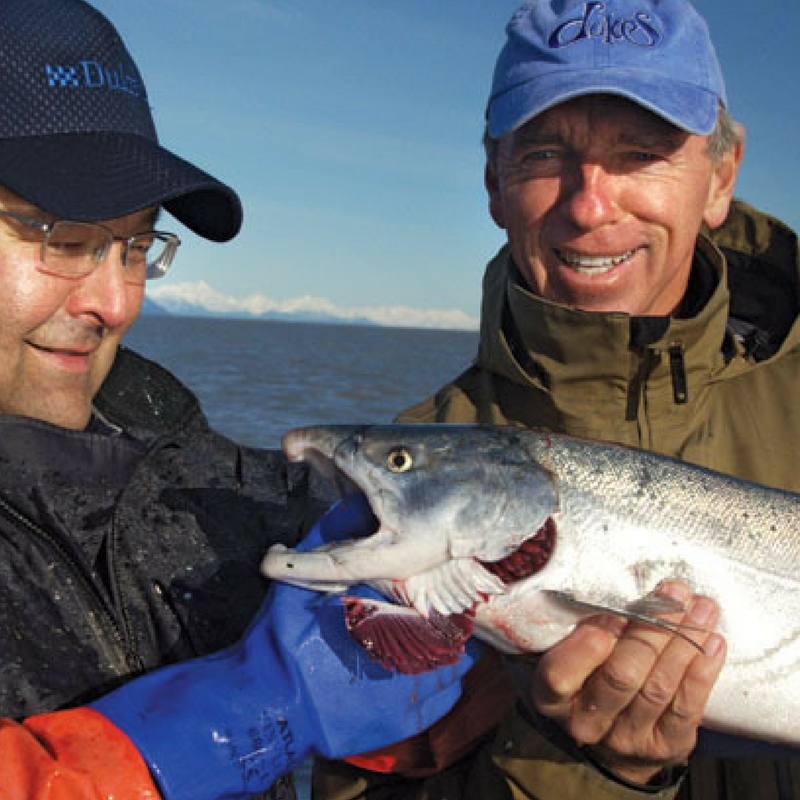 Over the decades, I’ve worked with fishermen and processors in Alaska helping to develop best practices for the handling of all seafood destined for Duke’s. Our providers have earned the name “DukeWorthy” for their attention to detail, every step of the way. I am committed to knowing every single step of the journey Duke’s seafood takes from ocean-to-table. It’s why I insist that only fish that pass the “DukeWorthy” test makes it to the plate at Duke’s.